360 Virtual Tour Social Media Upgrades! "The Most Dynamic And Exciting Business Marketing Product Of The Decade!" Now that we’ve introduced you to the business world of VR with Google 360 Virtual Tours, I’m here to help you embrace it even further! There’s a lot going on when it comes to 360 and it’s getting very exciting. You may or may not be a Global Web Advisors Google 360 Virtual Tour customer BUT I’m pretty sure I can rest assured that you’ve heard or at this point at least seen a few tours on local Google My Business listings. 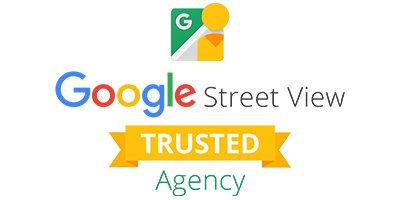 While Google was the first to bring 360 VR to the widespread business world in April 2010, the program didn’t really take off until mid 2015, when Google rebranded the program to grantStreet View Partner Agency TRUSTED status to a limited few companies like ourselves across the globe. While there are many other trusted photographers, Global Web Advisors is the only TRUSTED Partner Agency in the Metro Atlanta Area. In addition, GWA has officially completed over 500 Tours across the globe with clients ranging from small businesses here in our backyard of Metro Atlanta to franchise business locations such as SmashBurger, State Farm, Starbucks, etc., to massive museums and attractions such as the Warner Robins Air Force Museum, Coca Cola Air and Space Museum, Zac Brown Southern Ground Amphitheater, The Georgia Renaissance Festival, etc., even enticing the University Of Georgia in a VR experience of their new dining hall, Bolton Commons. "We worked with Global Web Advisors to do a See Inside Tour of our science center facility. The results were amazing! The professional quality virtual 3D walk-through they produced feels like you are actually walking through our gallery. The quality of the photography is outstanding! Many of the interior shots are better than others we've had taken in the past by professional marketing companies. I am very happy that we got a chance to work with this company, and plan to do more in the future." "[Global Web Advisor's] Google 360 Services Will Put Your Business On The Map! "GWA did the 360 tour for Markay Gallery in Marietta, GA. They did an incredible job. Very professional and we received our finished 360 tour so quickly after the shoot was completed. We'll definitely use GWA again for future needs. Highly recommend." "Everyone at GWA was friendly and professional. We LOVE our Google See Inside tour. It was definitely worth it! Thanks again for producing such an excellent tour"
"Global Web Advisors did a fantastic job on the See Inside at the Georgia Renaissance Festival. They worked very efficiently and professionally, and captured the unique flavor of our 16th Century English Village. They have earned the 5-star rating!" 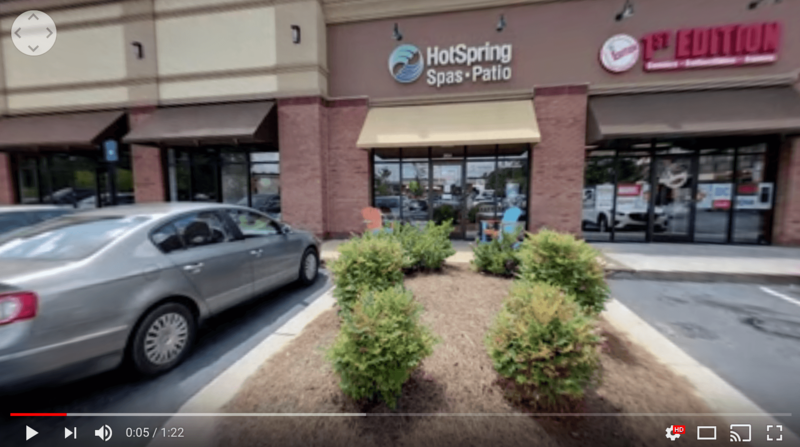 "I used Global Web Advisors to produce a Google See Inside Virtual Tour for my chiropractic office.The results were stunning and was handled very professionally." With Facebook and YouTube joining the fun in early 2017, the “interweb” just got a whole lot more exciting! 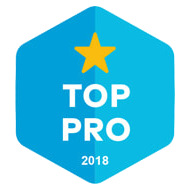 We’re so honored to be one of the few companies on earth to part of the 360 revolution and are thrilled to be able to offer, what was once only available to companies with deep pockets, to you. When you think about your Facebook newsfeed, doesn’t it seem like it’s just a bunch of reshares, family photos, click bait and depressing news stories? Same here. Yet, 55% of marketers chose Facebook as their most important social media platform. With all that traffic, it’s impossible to not have a business presence on Facebook. But how do you stand out from all the clutter? The Answer: NEW, CAPTIVATING, IMMERSIVE - these 3 words are what I want you to keep in mind, because that’s exactly what your customers are looking for. Every 360 image on a Facebook News Feeds is now recognized with a 360 logo and a heading indicator prompting viewers to explore the scene. In case you didn’t know, Facebook's technology now allows for a single image "bubble" upload for their immersive 360 experience. You may have seen them - when scrolling down your newsfeed, the image immediately moves and intrigues the audience. 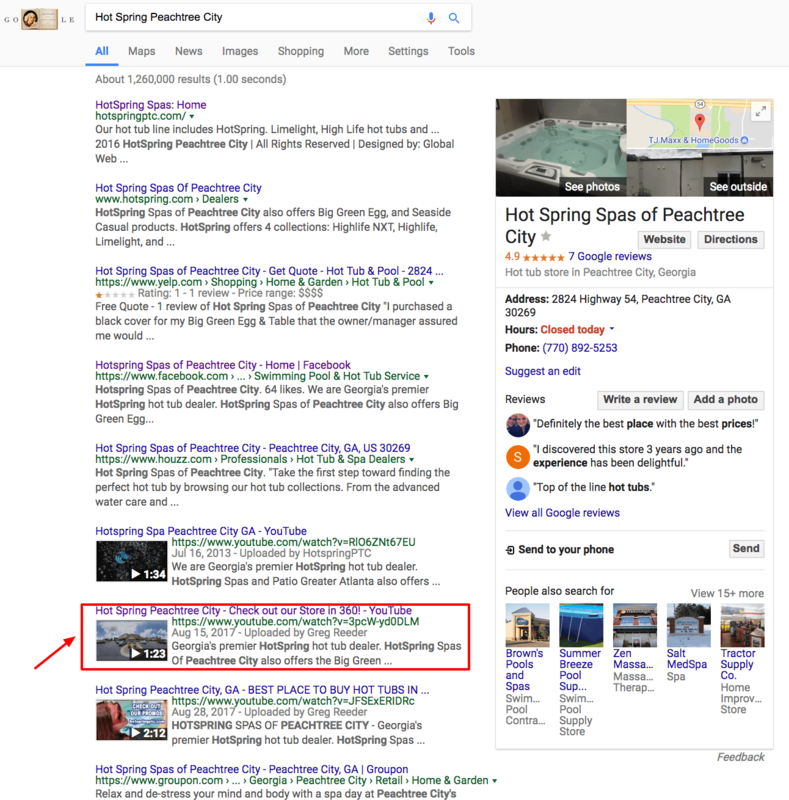 What’s neat about this particular upgrade to your Google 360 Virtual Tour is that the image we provide you can be uploaded time and time again, just as flat images, so it never gets lost in your newsfeed history and you don’t “need” to pin it to the top to get consistent exposure or use out of it. Who wouldn’t click on that - or at the very least take a second look? Exactly. Turns out, our hunches are right - Facebook posts with images see 2.3X more engagement than those without images and while Facebook Ad Marketing is great, organic engagement on Facebook has more than doubled, granting access to an untapped [and quite frankly bored] audience just waiting for something to peek their interest. Images are great - especially in 360 - but let’s face it - we scroll past so many images on a regular basis. What REALLY intrigues you? What makes those little hairs on the back of your legs stand up? Say it with me - Immersive 360 VR - as if you were really there. YouTube, within the last 2 years, has completely changed the user viewing experience by introducing VR to the everyday consumer. From the ever so popular and completely terrifying 360 Horror Clips to experiencing skydiving in 360 VR, to most recently, experiencing the 2017 Solar Eclipse in 360 VR, Youtube users are now able to virtually step foot in someone else’s shoes and experience their world first hand. Unlike with regular static video, these videos are shot in first person, giving the user the not the experience of being “the man behind the camera” but rather as if the camera never existed in the first place- as if they were actually there. Being on stage with ACDC is no longer only for VIPs. Even more impressive is the use outside of pure entertainment - for example, when Miami Doctors were able to save the life of a baby using 360 VR. Okay, okay, I could go on and on and I’m sure you’d find it equally as interesting and intriguing - BUT, let’s get to what this all means for YOU. Ultimately, here’s what it boils down to - It’s new, it’s fun, and it’s practically an untapped marketing tool for small business because more small businesses are either turned off by the idea of trying a new innovative marketing strategy (for whatever their own personal reasons) or they think it’s out of their price range. Which are you most likely to engage with? 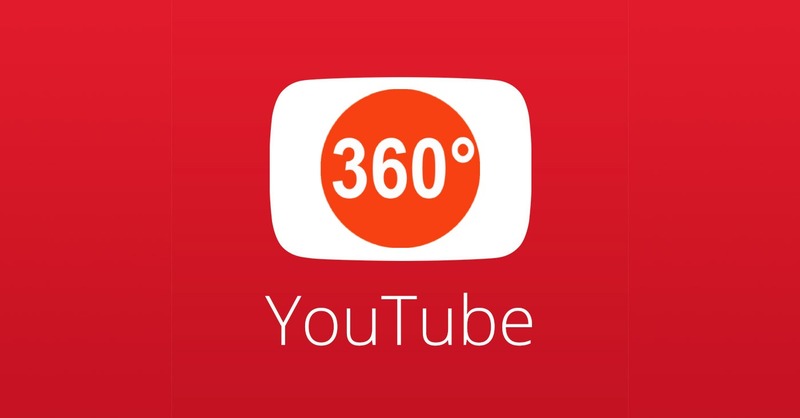 Global Web Advisors’ 360 YouTube Video upgrades of your Google 360 Virtual Tours will appeal to users on more traditional devices while also taking full advantage of the amazing capabilities of new devices. 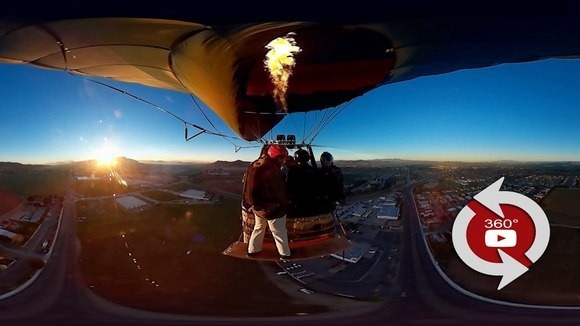 YouTube began natively supporting 360 videos a little more than a year ago in March 2015. Facebook launched their option a little later in September of that year. Desktop or laptop interfaces are still a little awkward, forcing you to click and drag on the video in order to swing the view around, but on mobile, finger swiping feels a bit more intuitive, allowing you to have better control and feel more connected to the camera. Not to mention, that with android devices, the accelerometer [phones use a built-in tool to track your head movements and respond convincingly] allows you to move the phone as if you were moving your own body, without having to click and drag the screen- this is the most immersive of all giving users the experience of “oh, cool - oh wow! - oh that’s so awesome!”. The goal with 360 video is to take the viewers from a place of feeling passive, into a realm of activity and curiosity- i.e. converting viewers into customers. The value of 360 video is that it puts users right there in the room, where the camera is. What a 360 Video upgrade for your Google 360 Virtual Tour does it allows them to experience your tour in an immersive video format without having to click through your tour, as the images fade in and out, depicting every aspect of your already produced Google 360 virtual tour. The numbers surrounding the growth of digital video are astounding. Let’s face the facts, shall we? The majority of us like watching videos- to the tune of billions a day, actually. The proliferation of smartphones over the past five years has also significantly changed the digital video landscape, giving consumers a insatiable appetite for everything video. Aside from the potential expanded reach of your YouTube 360 video, if properly optimized, your videos also has the possibility to appear in the Google search results! - and who doesn’t love that? Since YouTube [and/or Facebook] host your 360 Video for free for the life of your gmail account, you don’t have to worry about losing your content or having it not be compatible with future technological upgrades (does anyone remember flash player?). You simply upload your Google 360 Video Upgrade through YouTube and if you so choose you can embed it into your website or share it directly via their “share” option. Facebook is similar. You simply upload it as you would any other video and voila! Ready for viewing pleasure. Regardless of the platform, the target goal may vary, but what they all have in common is they are more engaging – or to use the industry jargon one more time - “immersive” – than regular videos, so they really capture the attention of potential customers. For all of you that love research studies as much as I do, US research company Greenlight Insights recently made the obvious conclusion reality: “virtuality can enhance a brand’s marketing efforts”. Don’t worry, they have the data to back it up- According to a survey of US consumers by the company, 71% agree that a brand that sponsors VR is forward-thinking and modern and 52% would like to be associated with that brand. Additionally, 62% would feel engaged with a brand that sponsors a VR experience, and 53% say they are more likely to purchase from a brand that sponsors a VR experience. If you consider that Facebook users spend 3X more time watching 360 videos than traditional videos, being able to showcase your Google 360 Virtual Tour with a 360 Video upgrade not only makes logical and financial sense, it also gives you an exclusive-no-questions-asked entry pass into the new experience economy.